On twitter, someone said about this post, “Altucher has a lot of interesting thoughts, albeit messy”. One time I was selling my company. It was going to be more money than I had ever seen in my life and I desperately wanted it. But first: There’s recent news out now that Hitler might, in fact, have been gay. I say this because it is related to me selling my first company and because if anyone knew whether or not Hitler was gay it probably would’ve been Werner Haase Sr, the doctor who provided the lethal injection that killed Hitler in the bunker in 1945. Were there tears? Or did nobody really understand how truly bad things had gotten for them. 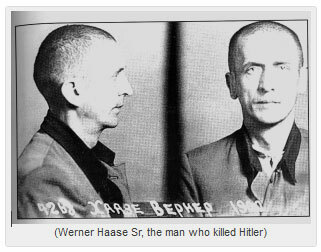 Hitler’s bunker crew maybe didn’t realize that Dr. Werner Haase Sr had that lethal injection all ready for their Fuhrer. “I have some forms that need to be filled out,” Dr. Werner Haase might’ve said. And, in any case, one of the forms might’ve then asked sexual preference, like medical forms often do. And perhaps Hitler checked his box. 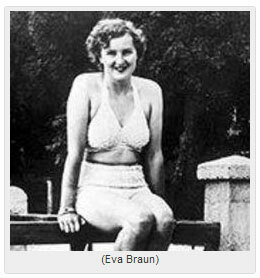 Or, with Eva Braun looking over his shoulder, perhaps he didn’t want to be so specific. I say this all because one day Werner Haase Jr came into my office about 53 years later. Tall, very German. The CEO of a small public company called Xceed. Xceed manufactured burn gels. If a victim is on fire, you apply these gels to them and it’s not as if suddenly life is going to be a crazy party for them but perhaps the fire will make them feel slightly cooler, and they will get some relief. Relief under dire situations is the sort of thing Werner Haase Jr might know about. In any case, he was accompanied by an orthodox Jew, Yitz Grossman. Through a chain of people (there’s only so many jews left in the world), I knew someone who knew someone who knew Yitz, who was a large shareholder in Xceed, where Werner was CEO. So I had the 6’5” very German Werner and the much smaller orthodox Yitz getting a tour of my offices. They were old friends. So they got the tour of my offices. In the kitchen we had a map of the world. In the map there were pins on every part of the world we were doing business. It was meant to be impressive. But to a sixty year old German businessman it turned into an opportunity to speak real truth. “There’s plenty of business here at home,” he said in his thick German accent, “You don’t always need to fly 8000 miles to find it.” Truth in May, 1998 was hard to find. Everybody dealt in the latest untruths that were being saluted up the flagpole. Real business was slowly disappearing and would leave us with the dark ages of 2000-2010 when truth would have to find its way back home again. They offered to buy my first company. $6.2 million. I had never had more than $20,000 in my bank account before. The offer was a good one. Think New Ideas, another public company, had offered $9 million but mostly in stock that I would earn over time. We all knew then that there was a clock ticking on this bubble and so stock given out over the time was worth $0. And Rare Medium, formerly an air conditioning company but then suddenly a hot Internet company, had made an offer in the one to two million dollar range. Rare Medium eventually disappeared – neither an Internet company or an air conditioning company, but their lawyer recently told me the CEO, Glenn Meyers, probably pulled $200 million out of it before it went down. Once someone offers to buy your company, the worst period of your life is about to begin. I’ve seen grown men hospitalized for unstoppable twitching seizures in the stress that happens between the time the letter of intent is signed, and the time the final cash and stock are transferred (I’m not exaggerating. Another company Xceed tried to acquire involved this hospitalization). This situation with Werner Haase Jr. was the first time I had ever experienced an acquisition but it also became the worst. I got better with each time I went through the experience. I’ll give you one scenario. When you sign the deal to sell your company, believe it or not, there are three people who have to approve: You, the guy who is buying your company, and…your landlord. Because suddenly, you’re not going to be his tenant anymore. The guy buying your company is going to be the new tenant. So he has to approve. Well, my landlord, an old school garmento (like my grandparents) not only didn’t want to approve, he decided arbitrarily he wanted to kick me out of the building. I don’t want to describe how I resolved this situation but it involved me buying more fabric than my grandparents ever had to sew together in the 50 years they worked on the same block in sweat shops where this garmento was based. Another scenario that came up. We had to assure Xceed that all of our employees were adequately medically insured on the day of the acquisition. Guess what? Adrian forgot to pay the insurance bill that month. For all I knew, he had never paid it. None of our employees were insured. But we lied and said they were. Thank god nobody got hit by a car that month. A) Assume its going to take an extra one to three months more than they tell you in order to close. B) Don’t accept any loans from the buyer to tide you over in the meantime. You might get in trouble with that. They would love the opportunity to trap you. C) If you don’t hear from the buyer for more than two days straight than there’s a problem happening. Find out what it is. No news is ALWAYS bad news. D) Make sure you have a champion on the inside. An employee within the company who is fighting for your interests who you can call to get the truth no matter how badly things are going. E) Act as if you are already part of the company. Insinuate yourself in as many meetings as possible. Meet your other counterparts within the company. Participate in high level strategic advice. The more you are part of things, the harder it is for them to get out of it. F) Have your due diligence package ready in advance: accounting numbers, contracts, landlord assignments, insurance, etc. If you google “due diligence” there are checklists all over the internet about what you are going to need. Have that ready IN ADVANCE so this can’t be ever used as an excuse to back out. G) Give up easily on certain points in order to speed things up. Time is your only enemy here. Not your eventual salary, or how much vacation time you have, or how many options you get, etc. If something has to be approved by the board again, give up if it guarantees that the deal will get done more quickly. H) Do as may social things with the acquirer as possible. Go out to dinner, breakfast, visit house in the Hamptons, etc. I) Most important: Make sure your business continues to rock on all cylinders. Do more than ever to bring in sales, deals. J) You can’t talk acquisition with other companies (in most cases) once you sign the letter of intent but it doesn’t mean you have to let discussions drop. Work out other deals and alliances and let your buyer know you are still in those discussions. This is not to threaten them but just to let them know you haven’t forgotten that it’s a big world out there and they are only a small part of it. K) Attend industry events. Get your name out there. You want the buyer to see you everywhere. You DOMINATE and he can’t avoid you now. L) You are your own best lawyer. Trust me. I don’t care what law firm you are using. You need to go over every legal document and understand exactly what all of your rights are, particularly your right to leave the company and your right to sell your stock. Who needs to approve when you sell stock, for instance. M) Your buyer doesn’t care about your tax consequences. The tax laws are always changing. Make sure you get treated as long-term capital gains, even on your options sales. And in an idea situation you don’t have to pay taxes until you actually sell stock, as opposed to when you get stock. N) Don’t talk to anyone about the deal. Its unpredictable for you what happens if word gets out that the deal is happening. O) Go to a gun range twice a week to blow off steam. Fire as many guns as you possibly can. P) Once the deal is done, send a nice well thought out gift to the acquirer. You never know what loose ends have to be rewritten after the fact. No deal is done until the deal is DONE, years later. Q) Save some ammo for after the deal is done. In other words, roll out a new feature the week after a deal is done. When we sold Stockpickr.com to thestreet.com, we rolled out Stockpickr Answers a week later even though it had been ready for months. Everyone: employees, new colleagues, shareholders, etc need to feel good about this deal after its done or else problems will start. R) Meet with as many people within the company as possible while the deal is happening. Make as many alliances as possible. Go on joint sales calls, work together. The most important message, act as if you and the company are already one. Let everyone in the company know that you are their ally and will help them promote their interests after deal is accomplished. Its good that you have a champion inside (see above) but its even better if you have ten champions inside. S) Very important. Once you sell your company, follow the steps in: What do you do after you make a Zillion dollars? T) Alwyas follow The 100 Rules for being an Entrepreneur even after you sell your company. Werner Haase Jr and Yitz Grossman ended up buying my company. As far as I know, and I’ve never been led to believe otherwise, Werner’s father killed Hitler. As far as Yitz Grossman goes, he was involved in a massive FBI sting a few years later and went to jail. He had set up a currency brokerage firm but if you ever set up an account then there was a decent chance you never saw that money again and it never actually went to buy the currencies you thought they were going to buy. I felt really bad when I read that and I’ve never spoken to Yitz again. Yitz had always been good to me and I never had any problems with him. And he helped me sell my first company. But ultimately, he spent some time in jail and there were other bad things’ about the whole mess. As another orthodox jew once told me: “you never really know someone’s net worth until they file for bankruptcy”. There’s a lot of emotions that happen when a company is acquired. And there’s a lot of craziness. Its going to effect you. If you’re having trouble dealing, the call me and we’ll figure it out. Or follow me on twitter. So, these were some of my thoughts on getting your business acquired. Albeit I will be the first to admit, they were messy.